Remove tree stumps from your yard with one phone call. It’s quick and affordable. Contact us today for a free quote! Looking to remove that unsightly stump and improve the look and function of your yard? If so, look no further than Full Bucket Contracting. Call us today and one of our stump removal experts will come to your home or place of business to assist you with all your stump removal needs. At Full Bucket Contracting, we specialize stump removal and there is no job that will “stump” us. Our number one priority is our commitment to our customers. With a knowledgeable and experienced team, we will answer your call with a detailed explanation of the process involved in removing a stump and will answer any question you may have regarding your specific situation. With a simple measurement along the widest part of the stump, we can give you an estimate right over the phone. 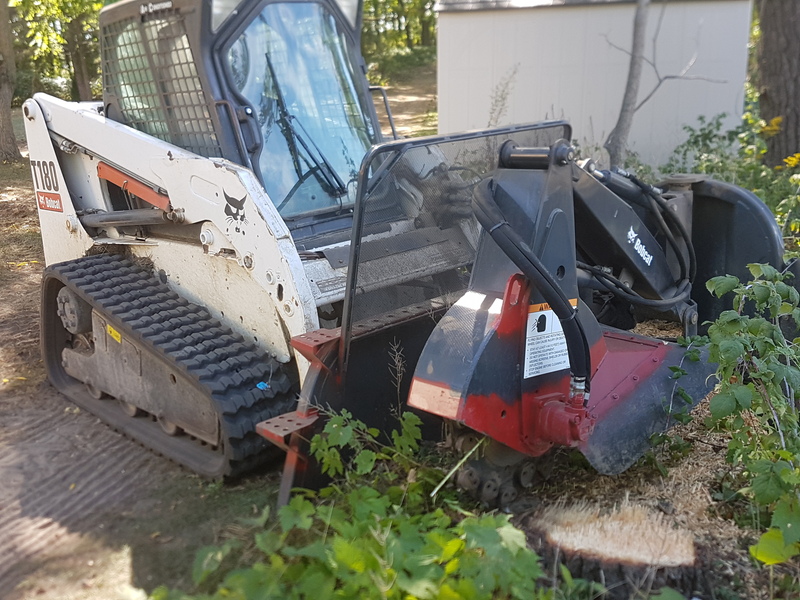 Our top of the line machinery grinds the tree stumps 6 – 8 inches below grade and is small enough to fit through a standard gate and access almost anywhere on your property. 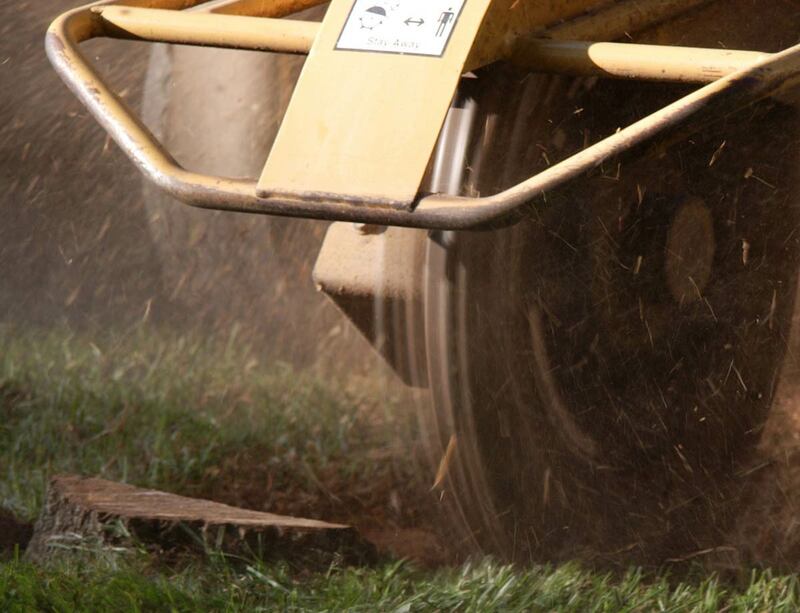 Our lightweight, compact stump grinders will do the job in a tight space (behind a shed, close to the house or near a fence) in a timely and efficient manner without leaving behind damage to your yard or existing landscape. Removing a tree stump will give your yard more space and be rid of the decay that grows on a stump after a tree is cut down. Not only will the look of your landscape improve, but a tripping hazard will be removed for you and your family. 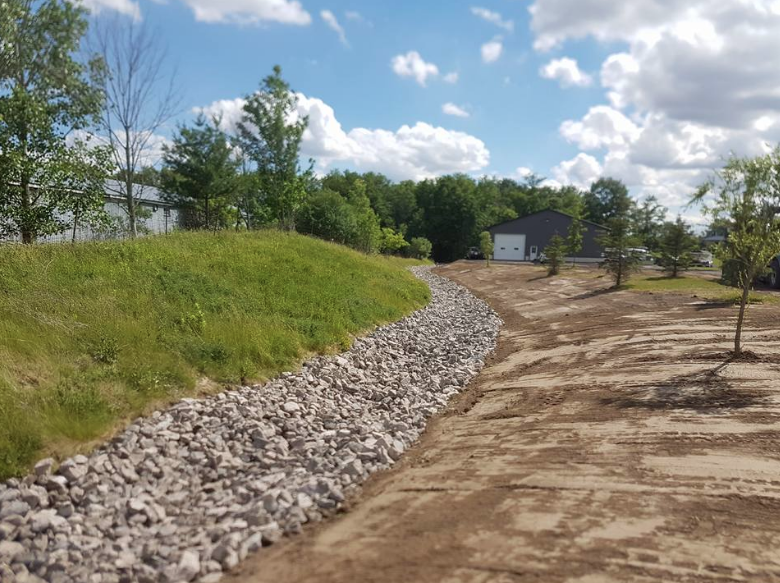 Cutting your grass will become must easier, as well as planting flowers or laying down sod, to give your yard more beautification where the stump used to be.